Most infectious illnesses are caused by either viruses or bacteria. Both can be spread by coughing, sneezing, and contact with infected people or contaminated objects. Both bacterial and viral illnesses can cause mild or serious conditions, depending on the type of infection and where it’s located. The symptoms may even be similar: fever, sneezing, coughing, vomiting, diarrhea, and fatigue. However, viruses and bacteria have some very important differences that affect how they are treated. Bacteria are tiny, single-celled organisms that have everything they need to create carbon copies of themselves. Many types of bacteria are visible under a powerful light microscope. There are both bad bacteria that cause illness and beneficial bacteria, like the kind that lives in your intestines and helps you digest your food. 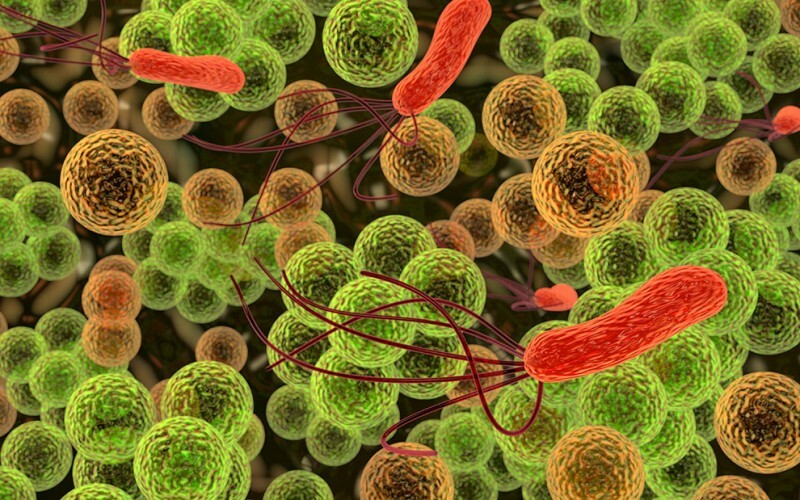 Of the millions of types of bacteria, less than 1 percent will actually cause illness. Antibiotics can kill bacteria, although the overuse of antibiotics has led to new drug-resistant bacteria emerging, including Methicillin-resistant Staphylococcus aureus (MRSA). Unlike bacteria, there are no beneficial viruses. Viruses are even smaller than bacteria. Except for a few types, viruses are only visible with a powerful electron-scanning microscope. Viruses must have a host to live off of and can only reproduce if they infect other cells and take them over, usually killing the host cell in the process. Some viruses can even mutate into cancer. Unlike bacteria, there are no beneficial viruses. Common viruses include the influenza virus, which causes the flu, and the rhinoviruses, which cause the common cold. Antibiotics cannot kill viruses, so doctors usually attempt to simply treat the symptoms of a viral infection, leaving the body’s natural defense system to target and kill the virus. Many parents rush to the doctor when their child is sick with the common cold, only to be disappointed when the doctor tells them to just wait it out because it is a viral infection. Keep in mind a virus can become complicated by a secondary bacterial infection, so if your child’s symptoms seem to worsen, be sure to call the doctor right away. Viruses and bacteria can cause similar symptoms. There can be good bacteria and bad bacteria, but there are only bad viruses. Antibiotics are useless against viral infections like the common cold. Viral infections can be complicated by bacterial infections that will respond to antibiotics. Mayo Clinic. What’s the difference between a bacterial infection and a viral infection? Healthline. What’s the Difference Between Bacterial and Viral Infections?